Calling all Leonardo DiCockatiels, Matthew Macaw-naugheys and Angelina Budgies! Are you ready to strut your stuff and rock our cinematic socks off at the Fourth Annual Pennys? 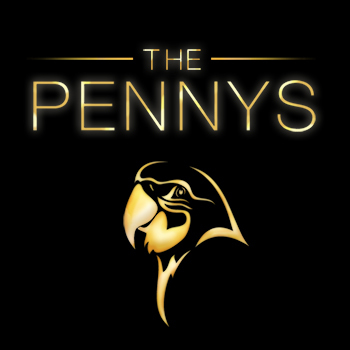 The Pennys are the bird world's most prestigious video contest! We're calling all fabulous feathered friends to embrace their inner actor and shake it on the silver screen. Whether your bird's a singer or a comedian, a rule-breaker or a well-trained circus star, we can't wait to watch him work! Oh, and did we mention the big time prize? A mini shopping spree and a basket of bird goodies valued at over $100! Want to join in the fun? Just record a short video of your bird's best vocal, dance, comedy or other performance and upload it using the form below. The top entries will be nominated for Bird of the Year and other special awards. These avian stars will be featured on our Facebook page, where fellow bird friends can vote on their favorite. Entries close on February 18, 2019, and the voting will take place from February 20th to February 27th.